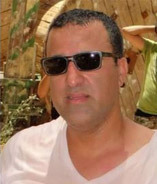 June 8 2016 - Ido Ben Ari, 41, of Ramat Gan, was one of four victims of the terrorist attack that took place at the Sarona Market complex. Ben-Ari was with his wife and two children (aged 14 and 16) at the restaurant at the time of the attack. His wife, who was also wounded, was taken to Ichilov Hospital. Ido, a manager at the Coca Cola Company, served in the IDF’s elite Sayeret Matkal commando unit. He is survived by his wife, two children, parents and siblings. His funeral took place on Thursday, 9 June 2016 at the Yavneh Cemetery.